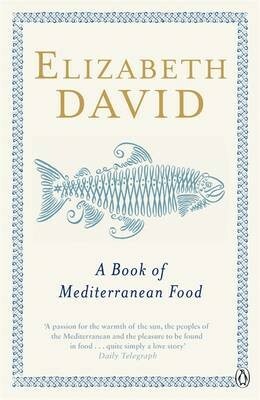 Long acknowledged as the inspiration for such modern masters as Julia Child and Claudia Roden, "A Book of Mediterranean Food" is Elizabeth David's passionate mixture of recipes, culinary lore, and frank talk. In bleak postwar Great Britain, when basics were rationed and fresh food a fantasy, David set about to cheer herself - and her audience - up with dishes from the south of France, Italy, Spain, Portugal, Greece, and the Middle East. Some are sumptuous, many are simple, most are sublime.